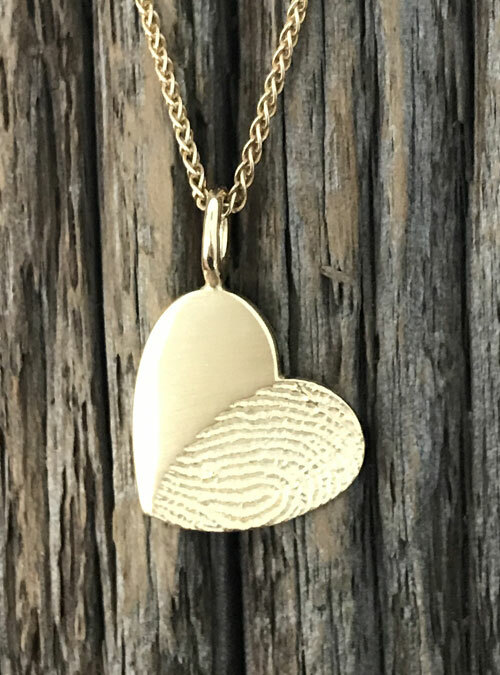 Create a treasure you’ll cherish forever. 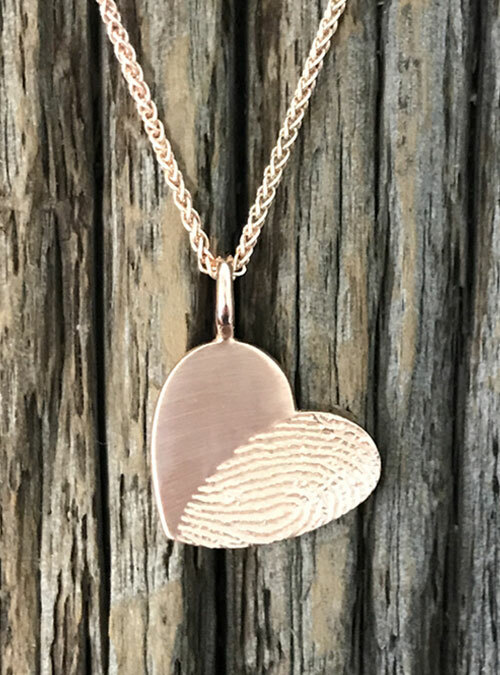 Capture your loved one’s touch in a charm you’ll wear close to your heart. 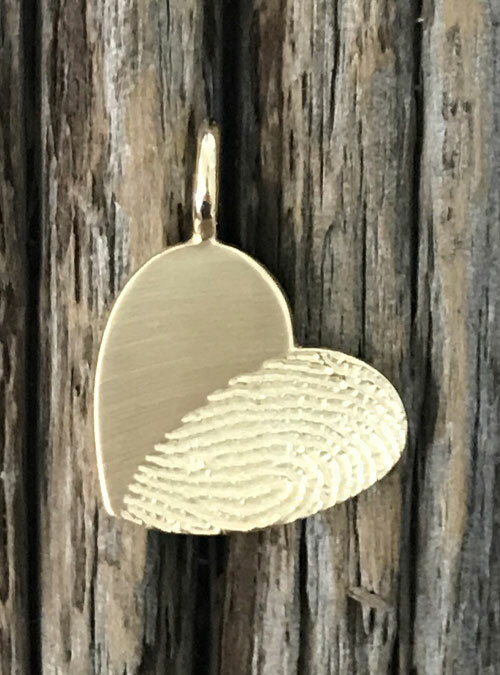 Your loved one’s fingerprint in high def on a heart shaped yellow gold charm, approx 19 mm in length and width (about the size of a nickel), with a yellow gold chain.